"My iPod Shuffle doesn't show up in Spotify any more. Have been using it in this way for years with out problem. What happened and is there a way to fix it? We appreciate any input. " iPod is recognized as a line of best portable media players for its artistic design, portability, multiple functionality since its debut in 2001. Until now, there are multiple generations of different models developed. All of the devices can be used to buy and transfer music from iTunes which is one of the biggest digital media file library. But as an music fanatic, you may not content to be limited within the Apple's music ecosystem. Let's say, what if you want to play Spotify music on iPod, is it possible? To save all the hassles for you, here I will walk you through the process with the updated tips here. If you try to search the answer from Google, you may see different ones. Some people says that is so easy while others say no. This is really confusing. Which is right? Well, they are all right in terms of different time period. Previously, Spotify is compatible with all kind of iPod players including iPod Shuffle/Nano/Classic/Touch. iPod Shuffle is targeted as small, compact audio player without display, Nano is similar to Shuffle with touchscreen, Classic is well-know for its large capacity player, iPod Touch is the most expensive device with powerful features. You were able to connect an iPod and follow the similar instruction of syncing Spotify music to Android many years ago. Then things changed. Due to the popularity of mobile devices, Apple announced to discontinue most models of iPod except the iPod Touch. As a result, Spotify app also ditched the support of iPod Nano/Shuffle/Classic. The only way you can still play Spotify songs on iPod Touch now is by installing the Spotify mobile version app. Although these devices are discontinued, they still play an important role on music lovers for their pure audio experience. So is there any alternatives for iPod Shuffle/Nano/Classic users? Sure, you might use a free online audio recorder or converter to record the songs. The shortcoming is that the music quality would be reduced, that is why I don't recommend. 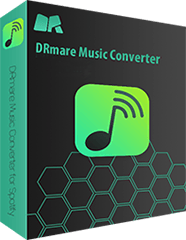 To keep the best quality, I'd suggest you to use DRmare Spotify to iPod Converter for Mac/Windows to download the Spotify music files directly. 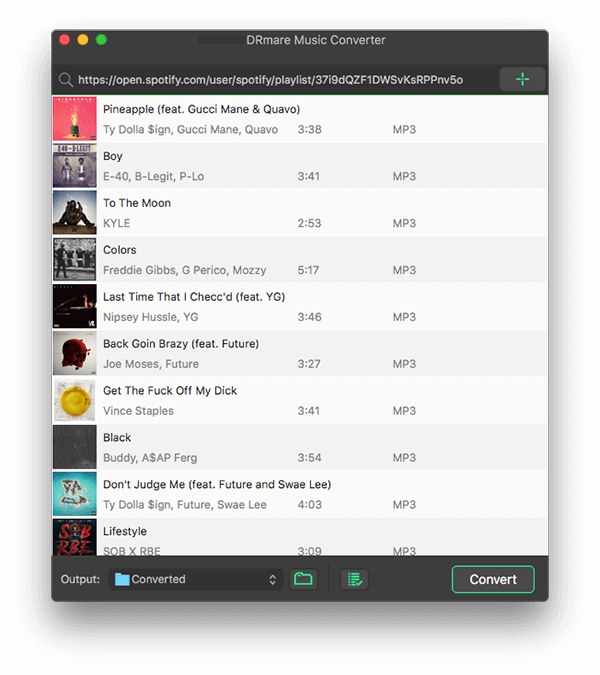 DRmare Spotify Music Converter works well on both Windows and Mac computers. You can convert music either from the Spotify free for premium account. 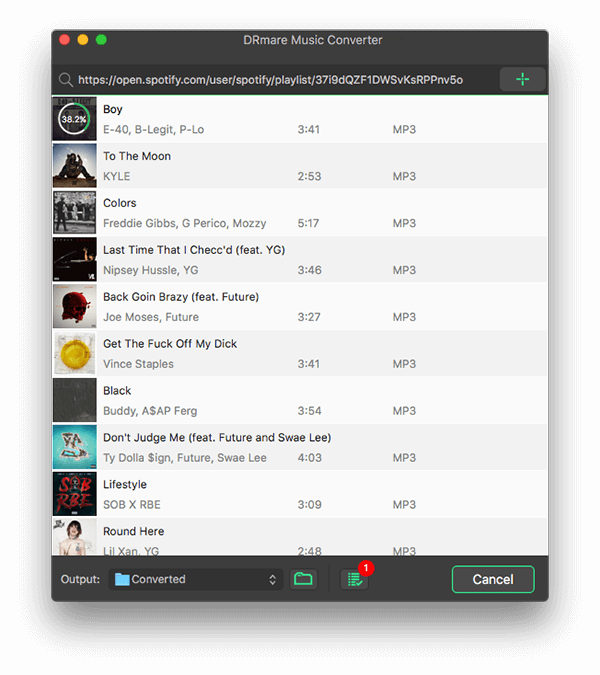 Launch DRmare software, Spotify app will be launched automatically. Then simply drag and drop any playlists, artists, songs, radio to the main screen of DRmare music downloader. 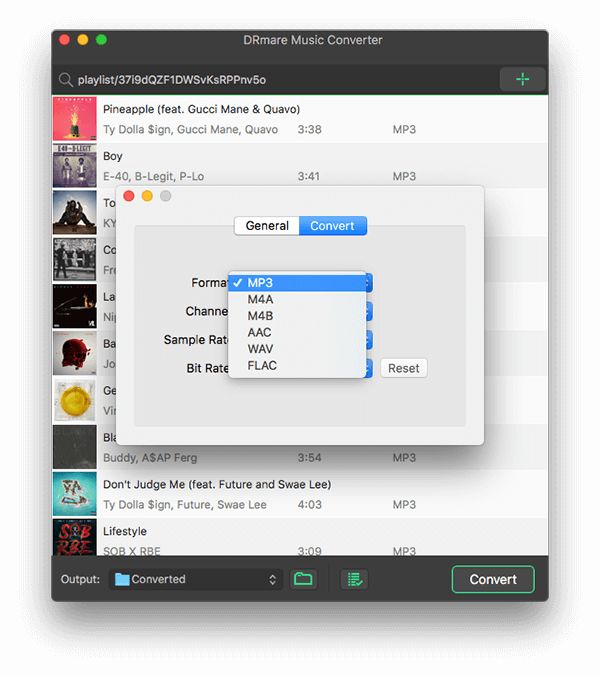 The best audio formats fully compatible with iPod are M4A, AAC, M4B, MP3, WAV, you can simply select the format you want from the preferences window of DRmare Spotify music recorder. For a free Spotify account, the original tracks are with 160Kbps bit rate, please adjust the "Bit Rate" and "Sample Rate" to higher values to enhance the audio quality. Before converting, you can also select the output folder. Then you can one click to save the files to the folder which you have just selected. Once it is done, you can find all the audio files which are ready to be transferred to iPod. When it goes to transferring files for iPod, the requisite you can't bypass is iTunes. Fortunately it is as easy as 1, 2, 3. Before you do this, please make sure you have transferred the Converted Spotify files to iTunes. If you haven't done that, you can simply go to iTunes > "Add File to Library" , then select all the music to import. Step 1. Connect your iPod to your computer via the USB cable. When it is done, you will see a device icon from the top on iTunes main screen. Step 2. Click the icon, you should see the iPod show up on the sidebar and the digital media contents which are on the iTunes. Step 3. Select all the converted Spotify songs you like and then click "Sync" to transfer Spotify playlist to iPod Shuffle/Nano/Classic.